The master’s in management degree has become an increasingly popular choice for students who wish to gain the leadership skills that an MBA is known for, but typically for a fraction of the cost (and in much less time). Each year, the Financial Times newspaper ranks the world’s top MiMs—this time 100 were included, a sign of the degree’s growing appeal. The degree, pioneered by the Grand Écoles of France and traditionally a passport to the boardrooms of publicly-listed European companies, has gained a global appeal. But it is the European institutions that dominate the FT’s ranking—and 2018 is no exception. 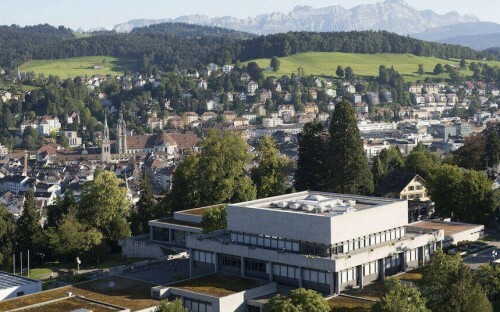 St Gallen of Switzerland has the world’s best MiM degree for the eighth year on the trot, with HEC Paris in second place for the fourth consecutive year and London Business School placing third, a new high. St Gallen’s course was singled out for its small cohort, enrolling around 55 students each year, which enables them to form strong bonds that translate into a powerful alumni network. The degree is also cheaper than the other top FT-ranked schools, a relatively paltry $10,000. With St Gallen’s alumni having the highest average salary in Europe ($109,000) and second only to well-heeled Indian MiM graduates, the degree is also rated as among the top in terms of value for money. And the school is in the top-five for the internationality of its course, and international mobility of its students. The 2018 ranking boasts MiMs from nearly 30 countries, with the programs collectively enrolling more than 30,000 students. That is far more diversity than the FT’s 2018 MBA ranking, which included schools from roughly 20 countries with 19,000 new students. The first FT MiM ranking in 2005 only had 25 schools, but the number has risen as the number of the degrees offered has also ballooned, such as at the big band US schools Michigan Ross and Duke Fuqua. The highest new entrant to the FT’s 2018 ranking was Hult International Business School (53), based in the US with campuses in London, Dubai and Shanghai. With students rotating between three bases, perhaps unsurprisingly Hult was rated highly for international mobility. Notable risers in the ranking include the Smurfit Graduate Business School of Ireland and the Stockholm School of Economics—part of CEMS, the international alliance of business schools that offer MiMs. At number 7 and 12 respectively, both business schools have surged more than 30 places in the past three years. Elsewhere, Rotterdam School of Management enters the top 10, rising from 11 to 8. The MiM’s global appeal is further highlighted by the first school from Slovenia being ranked—the University of Ljublkana Faculty of Economics, at number 83. The school is also ranked number two on value for money, calculated using alumni salaries three years after graduation and course costs. The University of Antwerp come up trumps in that category, with the cost of study just $5,000—far more than the average of $39,000. A quarter of MiM graduates at all ranked schools received scholarships, so the true price may be lower still. MiM courses teach core general management skills that are similar to MBA degrees, but they are for students who have little or no work experience. In comparison, MBAs usually require several years’ experience. The shortest MiM course is just eight months long and the longest 36, according to the FT. The sizes of cohorts range from 28 to 1,274 students. The price of tuition also varies, from zero to £40,000. The FT ranked the MiMs based on many metrics, with the most prominent being the current average salary of alumni, accounting for 20%.